CNF’s parent company, Kenetech Corporation, was experiencing a challenging economic period. One of their subsidiaries was entering Chapter 11. This disrupted the company, and Kenetech decided to sell CNF. After cooperating with the sales process for some time, the leadership team at CNF propose a management buyout. When that offer is rejected, Bill and Joel decide to start a new company, and the idea for Gemma Power Systems begins to take shape. The Gemma name stemmed from the fact that Bill and Joel were born on the same day in June, 15 years apart. They want to name their new venture ‘Gemini’ in honor of their shared astrological sign, but the name has already been registered by another company. They instead chose Gemma, which is defined as a bud that separates from the main plant and grows on its own. 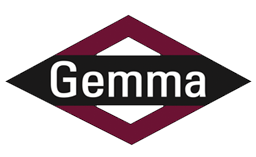 The name seems appropriate for the new venture, and Gemma Power Systems is born.